This heavy duty Bankers Box Stax file store features a steel reinforced frame, which interlocks vertically or horizontally and is stackable up to 7 units high. 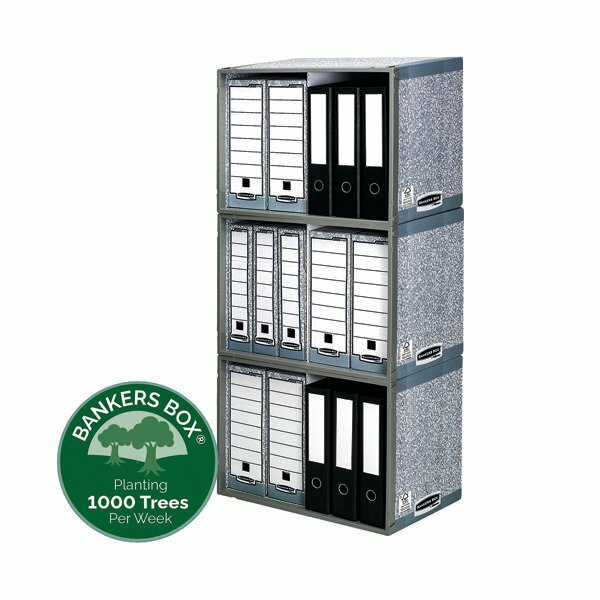 Designed for long term storage, the file store is compatible with ring binders, magazine files and A4 or foolscap Bankers Box transfer files. This pack contains 5 file stores measuring W540 x D400 x H390mm (external).